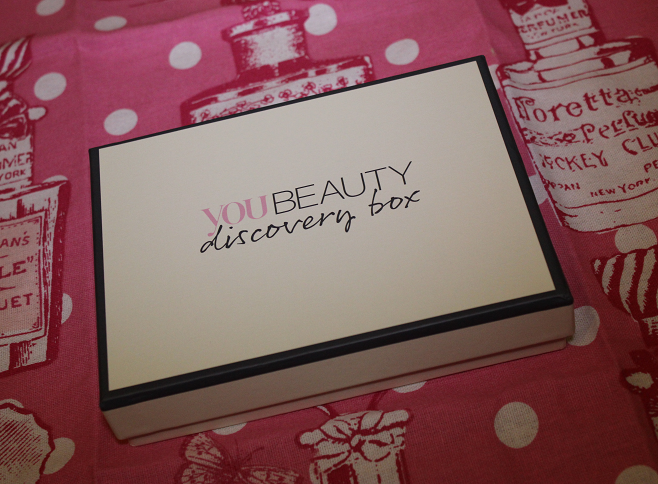 Back in September, I blogged about a new beauty subscription box called 'You Beauty Discovery Box'. I've maintained this subscription ever since as it's such a fantastic price and they get some great product selections. 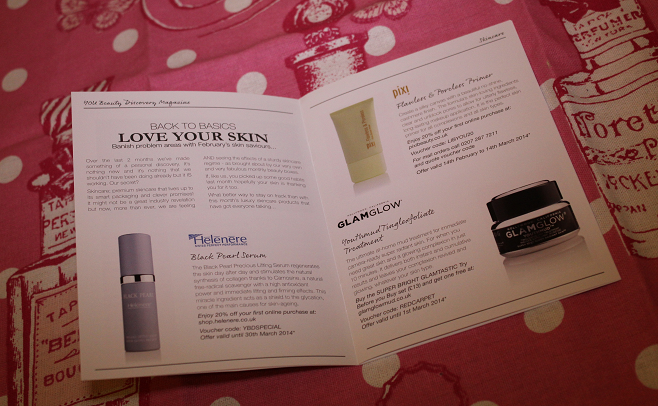 I thought I'd share the contents of my February 2014 box in case you don't know about this box and it might be something you are interested in. The box still costs £6.95 per month, including P&P, making it the cheapest on the market. Another massive bonus for me is the fact that you get to choose two products from a brilliant selection of products such as skincare, haircare and makeup so you can receive something you actually want to try. Most of the time when I've made my selections there has been at least one product I've previously fancied trying so I'm always glad to see those on the site. You get two extras with your choices which usually includes a food item. I've really enjoyed receiving things like a mini Green & Black's chocolate bar or some granola in previous boxes. Each box is themed and comes with a little magazine telling you about all of products that were available in that month's selection. You can find discounts for the brands in there too. 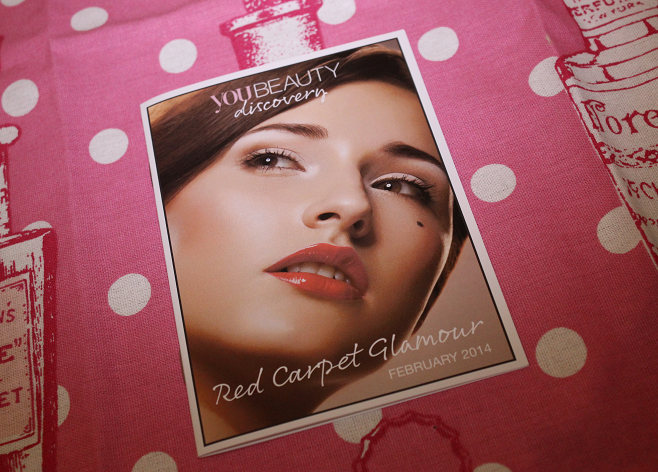 This month is the 'Red Carpet Glamour' box. This month was probably the most exciting range of products yet. I'm sure you've all read good things about Glamglow Youthmud so I instantly knew I wanted this as the full size is super expensive and I don't want to splash out on that without trying a sample. You get 15g of this so I reckon you could get 3 masks out of this. The other product I selected was the Stila Lip Glaze in the shade 'Kaleidoscope', a pretty shimmery peach colour. This is a very generous 1.5ml size and will last a long time. I'm really looking forward to trying this as I love the brand in general. One of the extras for this month is the BeyondDark Moments of Pleasure 70% dark chocolate with hints of orange which looks so good. In fact, they look like those little chocolate hamster treats actually! Still good though! The other extra is a sachet of Charles Worthington Salon at Home Instant Amplifying Volume Treatment. I've never tried any of the Salon at Home range before so this would be a great introduction to the range. I'm always looking for some extra volume in my hair! As you can see, the contents of this box is worth a lot more than the £6.95 I paid so I will be continuing this fantastic subscription for the foreseeable future. If you're interested in reading more about this subscription box, check out their website here. Which is your favourite subscription box? Have you tried this one? I picked glamglow for my box too! Cant wait to give it a go! I've tried the GlamGlow and it is amazing, I'll definitely be buying a full size! I've recently unsubscribed from beauty boxes, and this is the one I miss the most!